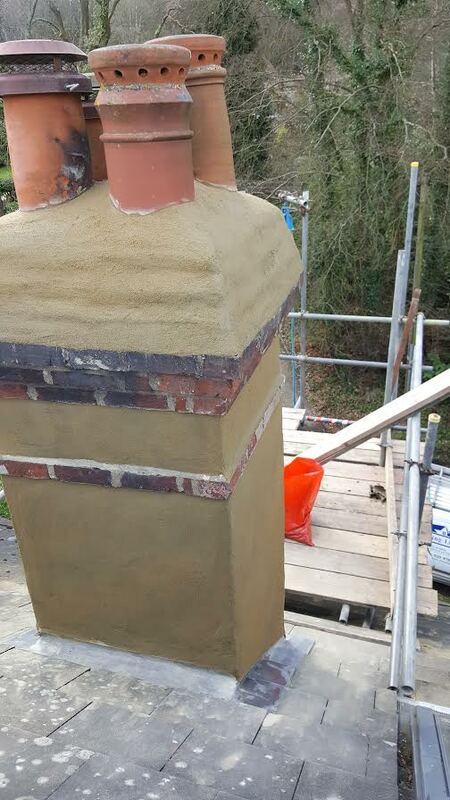 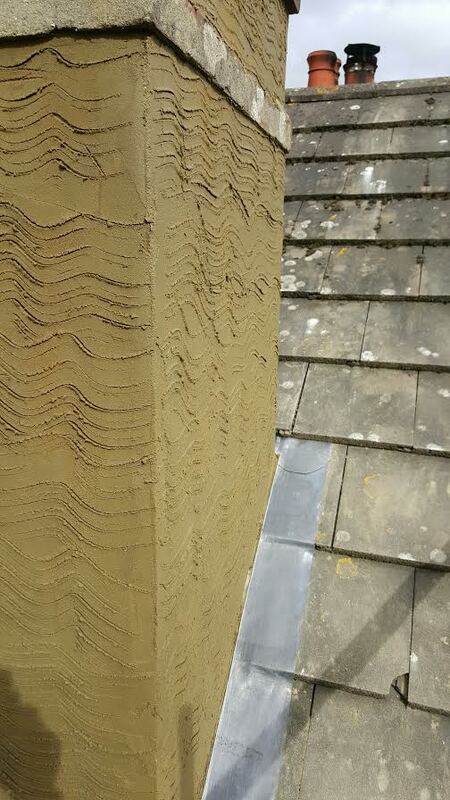 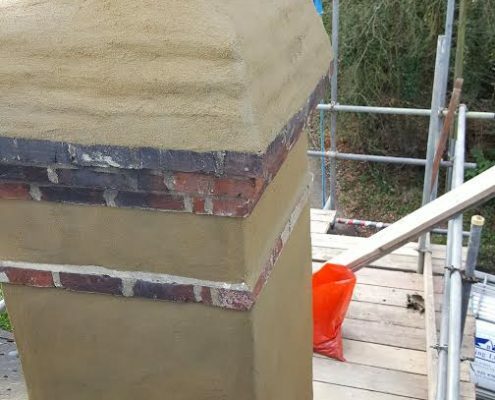 In this project we repaired the chimney stack of this domestic home in Haslemere. 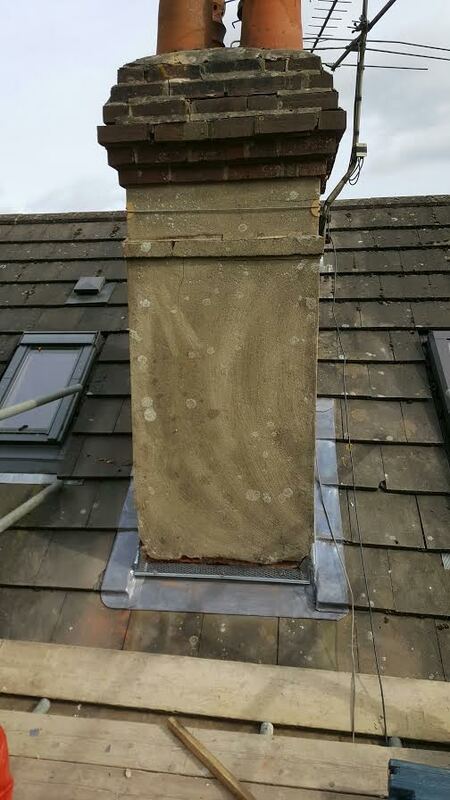 New Code-4 Lead Flashings Installed. 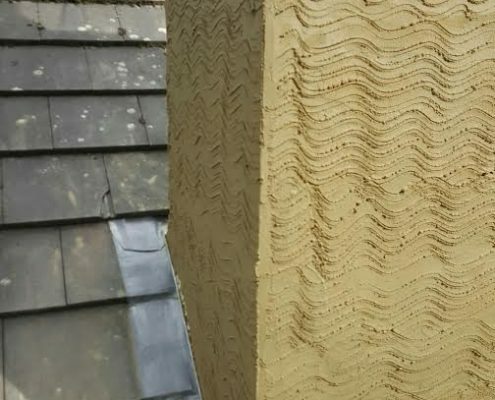 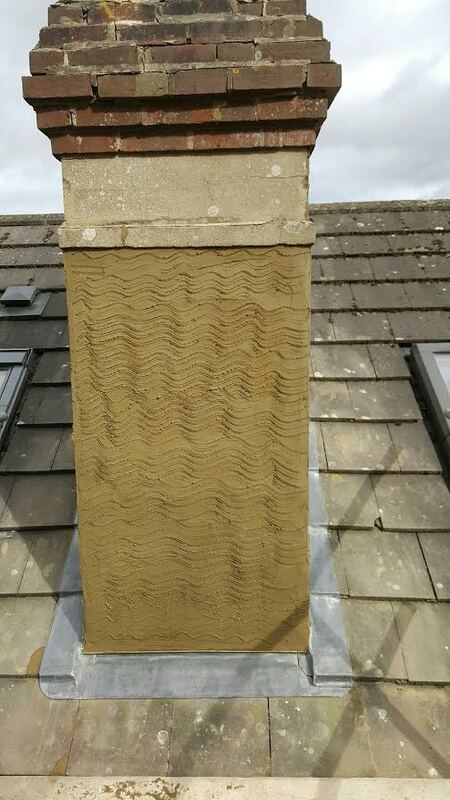 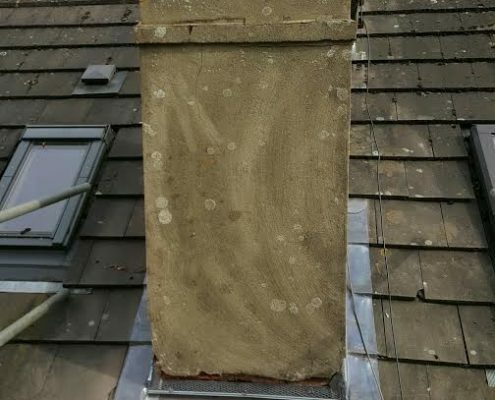 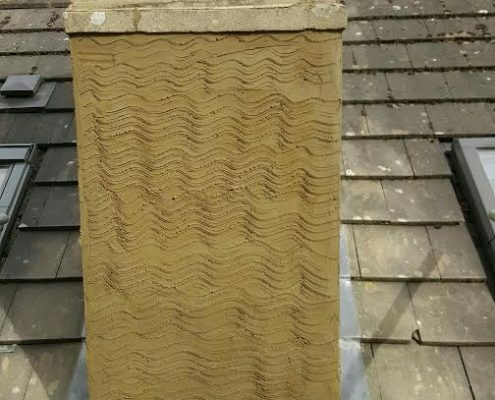 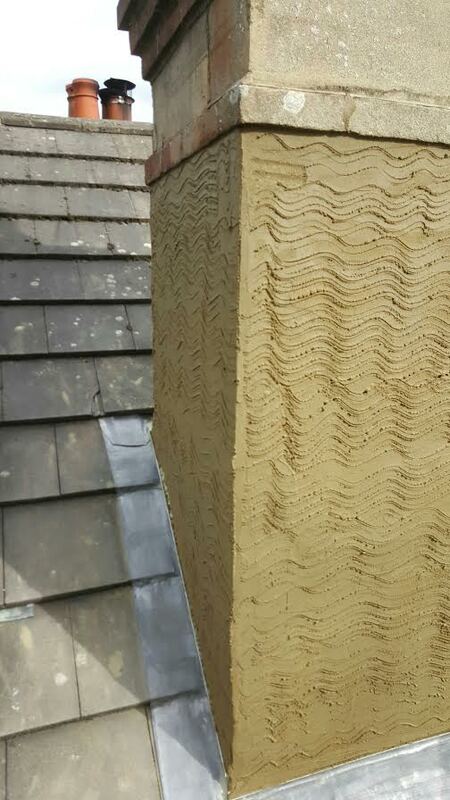 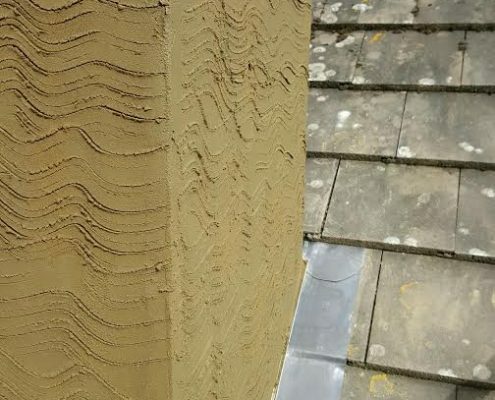 Our Customer called us regarding water ingress they were experiencing from their existing shared chimney stack in Haslemere, Surrey. 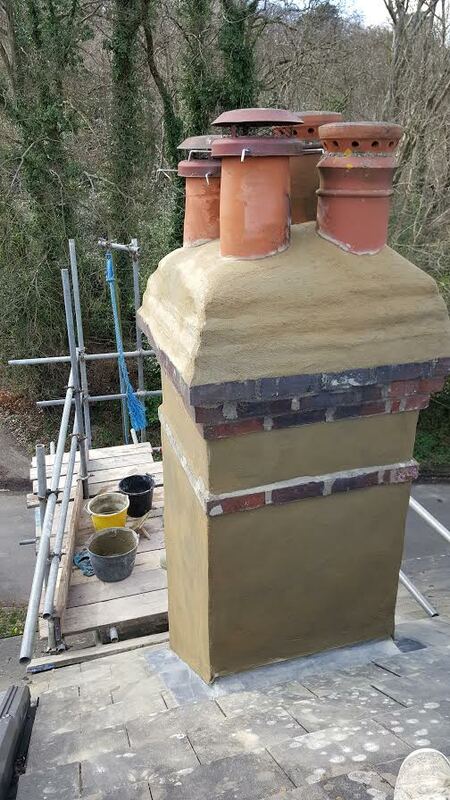 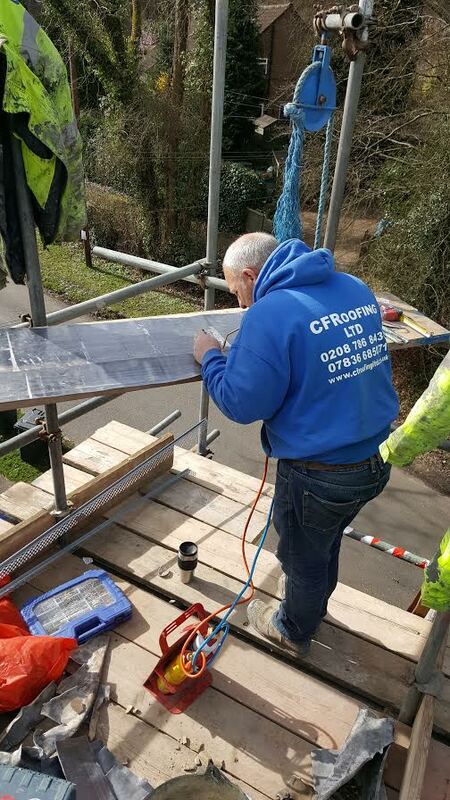 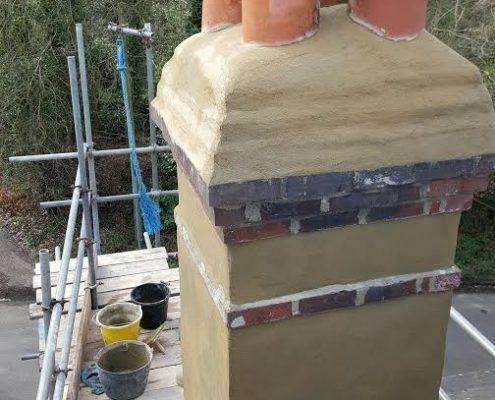 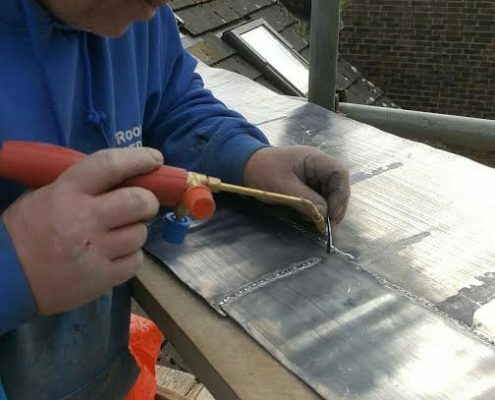 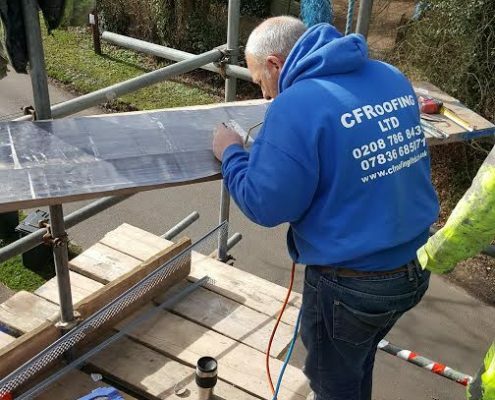 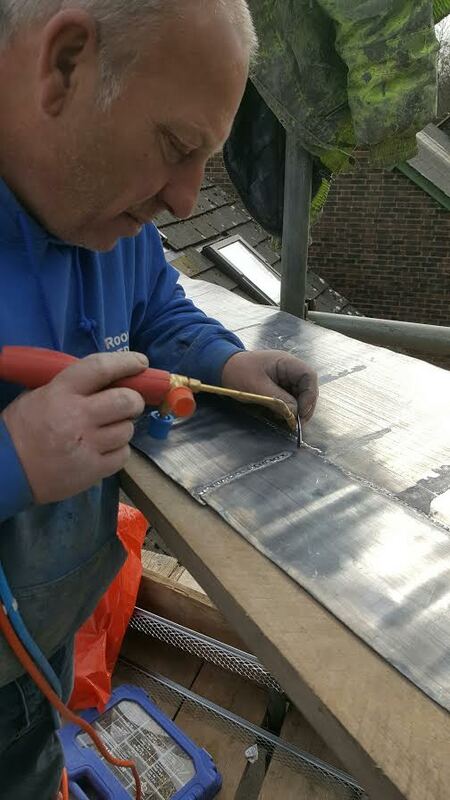 We supplied scaffolding as required and the chimney needed re-rendering, the top required re-flaunching and new code 4 lead flashings were supplied and fitted around the stack.